Vaptio Solo-Flat is a sleek pod style starter kit that integrates a built-in 650mAh battery and a refillable 1.5ml tank. It comes with a smart airflow control chip for instant vaping. The Vaptio Solo-Flat is an ultra slim and powerful closed system pod device with a built-in 650mAh battery and 1.5ml refillable tank. 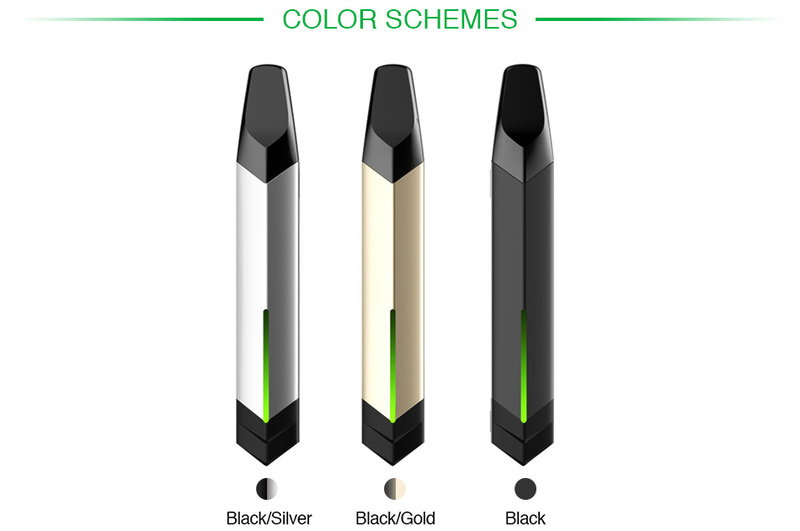 It has a lip friendly duckbill mouth drip tip and a smart airflow control chip for instant vaping. The Solo-flat has an easy top filling design that you can fill by removing the top cap. A fountain type indicator light makes the Vaptio solo-flat more attractive. It’s a good choice for mouth to lung vapers.